Screamland is a upcoming giant in the scare industry, and last year received rave reviews from scare veterans and the GP alike. Especially the completely rundown city of Margate, and some "interesting" graffiti on some of the walls.. Anyway the event was a grueling Hour and a half drive, so was it worth it? creative scares I've ever seen in a maze. Bloody Mirror was the parks mirror maze with a few actors.. Overall it was the shortest/weakest at the event, but it was fun for what audience it was aiming for. TBH this mazes concept and theme disturbed me before even entering the attraction! Overall The Paradise Foundation is a well themed, theatrical, and terrifying experience! First positive would have to be the actors hiding spaces, they really came from everywhere. The maze itself is very disturbing, with a lot of the actors looking disfigured and the sets full of gore. I'm not easily grossed out but some of the actors costumes where quite disgusting, in a good way! My only negative comment I'd say about the attraction is the ending, its a cool concept but not effective as it could of been! The Final Cut was what I'd call perfection.. The concept was so brilliant, and so brilliantly executed. The first half is reminiscent of a theatre, with popcorn being thrown everywhere! The Final Cut goes crazy from that point on! both funny and scary in equal measures! If that wasn't enough awesomeness for you.. I present the ending! The ending involved a scary alien and a girl with a gun! Dead And Breakfast starts right after the awesomeness of The Final Cut, And oh god was the first half brilliant. Fag Ash Lil had our group in stitches with her fast-witted insults, She even called me a slag! Once inside your chased by Lil's new man, who has a taste for flesh! The maze had some beautiful sets, as well as some good theatrical scares making use of the brilliant theming that immerses you in. Lil's new man seemed to be everywhere, and caused a threat throughout the attraction. I've experienced some great Clown/Circus themed mazes this Halloween, but Festino has to be the best clown maze I've ever experienced. The creativity on this one was insane. The hiding spaces for actors where very creative, and at points you see a prop, next minute that prop would start moving to realise its a actor! The attraction's first half is very trippy and full of unique scares, and the second half was surprisingly theatrical! To meeting a knife thrower to a Bearded lady was pretty fun! The ending slightly disappointed me, mainly due to the absence of Pearlywhite! But three actors with chainsaws held our group hostage in a cage for a few minutes, which made up for it! Overall the roamers where pretty great. They weren't no Tulleys level, but I had some fun interaction with them. Screamland is a event which I recommend to anyone who likes scare attractions. The event is nothing short of brilliant, and even though Scenic was unfortunately closed, I still had a blast! Next entry Alton Towers Scarefest 2016 Review! I went to Screamland last year and had a great time aside from the fact that my trip through the final cut and dead and breakfast were ruined by being in a group of 50 odd people to get rid of crowds. I was really looking forward to experience those attractions properly this year and so made a trip there yesterday as well. Its safe to say we had very different experiences in the mazes aside from Bloody Mirror. 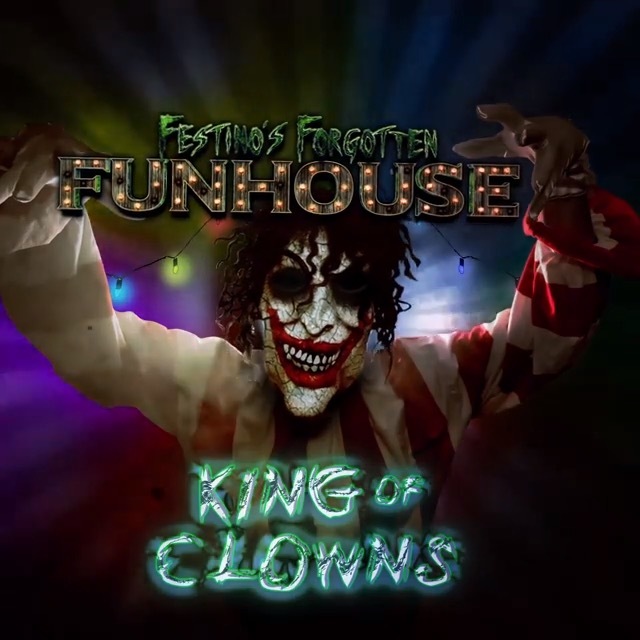 My group didn't meet a single actor within Festino's Forgotton Funhouse until the knife thrower. We were expecting to meet Pearlywhite the clown at the end of the maze yet the advertised character did not appear to be there. Instead there was a single clown above us with a chainsaw which sounded more like a hair dryer and we simply walked straight through and out. The Paradise Foundation was very similar in the sense that we only saw a couple of actors after opening scene. One was a bandaged woman who was standing in the middle of a corridor and screamed as we went past, which would have been scary if we hadn't have already seen her. Then there was just one other actor that let us into the finale scene which left us a little bit let down. We also found that there was far too much light throughout most of the scenes. The Final Cut was by far the best attraction we experienced during the night, loads of actors who seemed to come from nowhere. The sets were pretty well thought out with the entrance through the cinema screen being a personal favourite scene. Dead and Breakfast is exceptionally well themed throughout, and I agree, Fag Ash Lil is a fantastic character. Her boyfriend again did appear to be everywhere in the maze and the ending was carried out very well. Great performances all round. I guess it just shows how two people can have completely different experiences on the same night at places like this. For our group it appeared that because the event wasn't all that busy (despite selling out fast track tickets) that therefore the actors didn't need to try as hard. The roaming actors were very good, they even chased a few groups around parts of the park shouting and screaming. However I feel that they would have been better placed inside of the mazes to allow for more scares where it counts. Hopefully it was just a case of my group and I being unlucky. I should also point out that even though I personally don't rate the mazes very highly and my review sounds rather negative, I did still have a great night. The atmosphere in the park was great, loads of smoke bellowing out from the Ferris Wheel and the Screamland sign. I love the vintage rides within the park and every single member of staff I met was incredibly helpful. Overall a great night regardless of the experiences I had in the mazes and would still recommend the event despite the criticisms. @tomathy I guess it really depends on the actors and perspective when it comes down to these attractions. 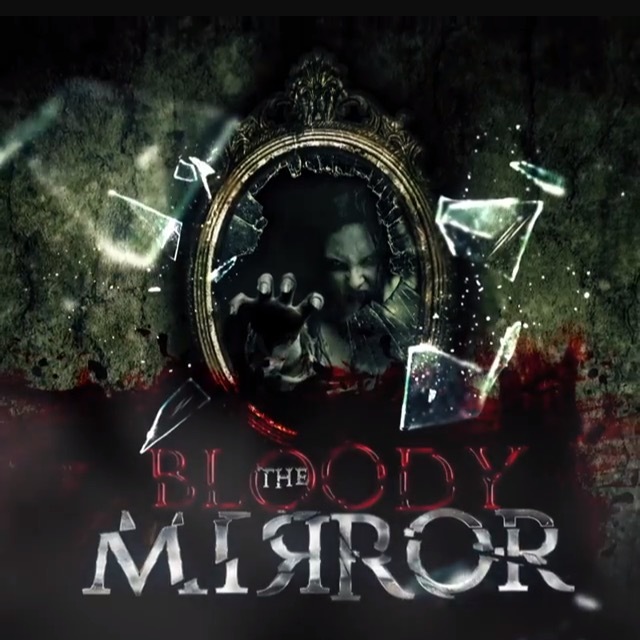 For me the only attraction that seemed to lack actors was Bloody Mirror, which I only saw like one actor. For me I was a tad disappointed with PearlyWhite not being in Festino, but the three actors holding our group hostage for a few minutes was more than enough! you'd get at Fright Nights/Scarefest. The event from my observations was dead at opening, but the event got quite busy the more the event went on. @imindetonator Yeah exactly, its all down to previous experiences, expectations and the type of person you are. Compared to when I went last year the event was nowhere near as busy yet the park still had a great atmosphere. I was also shocked about the lack of strobes, a good strobe maze ending (TOTT) would still have been nice to see as they are truly disorientating. I believe I'll be at Alton the same day as you, be interesting to see if we have similar experiences then. The final cut was my favourite too!